Nepal Foreign Affairs (KATHMANDU Jan 16)–After a hiatus of four years, the government has recommended Veteran Congress leader Deep Kumar Upadhyay and NGO activist Dr Arjun Kumar Karki as Nepal’s ambassadors for India and the United States respectively. A Cabinet meeting picked them as ambassadors on power-sharing basis for Nepal’s two crucial diplomatic positions abroad on Friday. 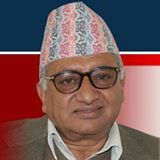 Upadhyay, who hails from Kapilbastu of the western Nepal, is a Central Working Committee member of the Nepal, former culture minister and many-time lawmaker. Karki is currently the international coordinator of the LDC watch and also the President of Rural Reconstruction Nepal (RRN). He has been coordinating the LDC Watch civil society campaign in 48 UN defined Least Developed Countries (LDCs) in Africa, Caribbean and Asia-Pacific. The Cabinet meeting recommended Upadhyay for the ambassadorial position from the Nepali Congress quota and he is said to be one of the confidants of NC President and Prime Minister Sushil Koirala while Karki nominated from the CPN-UML quota. “He has been nominated for the post since he has strong connection with the Indian politicians for long,” an NC leader told Nepal Foreign Affairs requesting anonymity. Karki is said to have strong relationship with the UML top brass including Chairman KP Sharma Oli and senior leader Madhav Kumar Nepal. Karki is also a former chairman of the NGO Federation of Nepal. Dr Arjun Karki has been engaged in development politics as a student and youth activist, academician, social activist and development practitioner. His PhD thesis “The Politics of Poverty and Movements from Below in Nepal” was awarded in 2002 by the School of Development Studies of the University of East Anglia, is founded on original case studies of three sets of social movements ‘from below’ in Nepal – the bonded labour or Kamaiya movement, the land rights movement and the Maoist movement. He was actively engaged in Nepal’s democracy movement in 1990 having been rooted in student activism during the preceding Panchayat era. Throughout the Maoist conflict (1996-2006), he was intensively involved in conflict mediation, conflict transformation and in defending the development space as the President of NGO Federation of Nepal, the Regional Co-ordinator of the South Asia Alliance for Poverty Eradication (SAAPE) while also heading Rural Reconstruction Nepal (RRN). He played a noted role as a human rights defender at the national and international levels – especially at the United Nations (UN) and European Union (EU) levels – during the ‘direct royal regime’ in 2005 and the subsequent second democracy movement or Jana Andolan II in April 2006. He is now engaged in the ongoing peace-building process focusing on and advocating a people-centred and democratic peace-building ‘from below’ in Nepal. Nepal’s ambassador’s position n in New Delhi had been lying vacant since then ambassador Rukma Samsher Rana was recalled in June 6, 2011 on the charge of being uncooperative with the then CPN-UML-led coalition government. A Parliamentary panel on International Relations and Human Rights directed the government to recall Rana as ambassador on the ground that he was holding two posts at the same time– ambassador for India and the managing director of the Dabur Nepal Pvt.ltd, Nepal branch of the Indian Dabur Company. Following the parliamentary panel’s direction, then Minister for Foreign Affairs Upendra Yadav took a decision to recall him. Later on the Baburam Bhattarai-led government recommended UCPN (Maoist) leader Ram Karki as ambassador for India, but the Indian government didn’t give consent on Karki’s recommendation. While, Nepal’s diplomatic mission in Washington DC was headless since Ambassador Dr Shanker Sharma returned home completing his four-year tenure last year. Currently, joint Secretary of the Ministry of Foreign Affairs Krishna Prasad Dhakal is Nepal’s Charge De’ Affairs at the New Delhi mission while another joint secretary of the ministry, Rishi Ram Ghimire is bearing his responsibility as the Charge De’ Affairs at the Washington mission. In last September, the government appointed six career diplomats as ambassadors to various diplomatic missions abroad in September. Those appointed were Khaga Nath Adhikari (Thailand), Deepak Dhital (Switzerland), Ambika Luintel (France), Amrit Bahadur Rai (South Africa), Kali Prasad Pokharel (Canada) and Yagya Bahadur Hamal (Kuwait).The government is yet to recommend ambassadors for UK, Brazil, Egypt, Qatar, Germany and Sri Lanka. The nominees should produce themselves before the Parliamentary Hearing Committee. The host countries must endorse their names and the Nepal government should write to President Dr Ram Baran Yadav to announce them as ambassadors. The two missions were headless as Nepal’s political parties were sharply divided over picking names as ambassadors to be recommended for the diplomatic positions. Minister for Foreign Affairs and Prime Minister Sushil Koirala forged an understanding on the names to be recommended for those positions on Friday morning. The ruling parties were at loggerheads over the names for those positions since the formation of the Koirala-led government in February last year. “Yes it is too late, however, we fulfilled ambassadors for the two diplomatic missions abroad, we hope that rest of missions can be fulfilled as early as possible, Minister for Foreign Affairs Pandey told Nepal Foreign Affairs following the Cabinet meeting on Friday. Earlier the government faced criticisms from multiple quarters for failing to appoint ambassadors in the crucial missions.